had dinner last night with some new friends. it's been a while since i've done that and i found myself pretty exhilerated by the conversation. it's fun to make new friends. i also randomly met this lovely woman who's blog i've long admired. but my most favorite new friend? 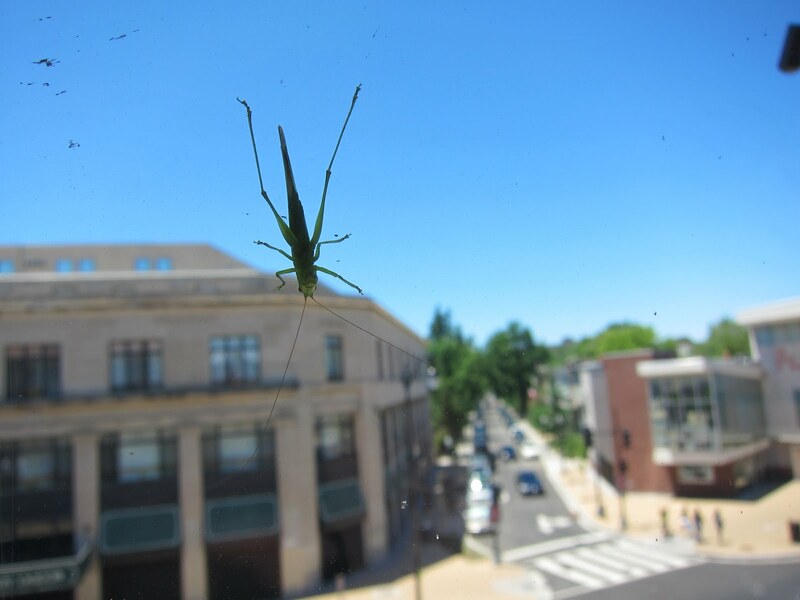 monsieur grasshopper (at least I think he is a grasshopper). spotted him chillin' outside my office window for a good few hours. i'm not much of a bug person, but i like him. understatement of the year: "not much of a bug person." HA HA fine. i effing hate bugs, OK??? I wish God would smite them all in one fell swoop. I have often cursed their very existence. I scream at the sight of them.